One aspect of this market sector to consider is the recent talk of nationalizing legal US cannabis in the US as well as the expected gains in state sales from legalizing the industry. We've all read about how some of the largest drink and tobacco producers in the world are investing heavily into this blossoming sector in preparation to secure market share when the dust settles. 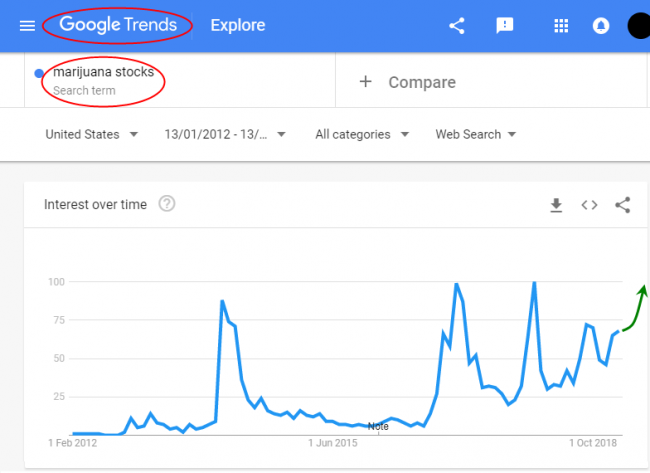 The entire Marijuana market sector could be a boom cycle, similar to Cryptos in 2016~2017, over the next 12~24+ months in the USA. Canada recently legalized its use which could help open the door for other territories to make it legal. These types of opportunities don't happen very often. Fledgling industries with strong interest drive investors to make speculative plays while driving prices higher and higher in most cases. Play this one smart and look to take profits above +8% on no less than half of your initial trade, then let the rest of your position ride out the run. If we are correct in our targets, $41~44 should be the next upside target before resistance is found. 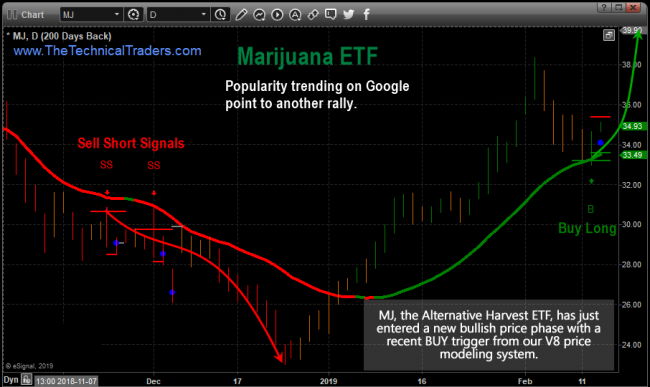 As you can see in the graph below Google trends is shows a steady increase of interest for Marijuana Stocks stocks. 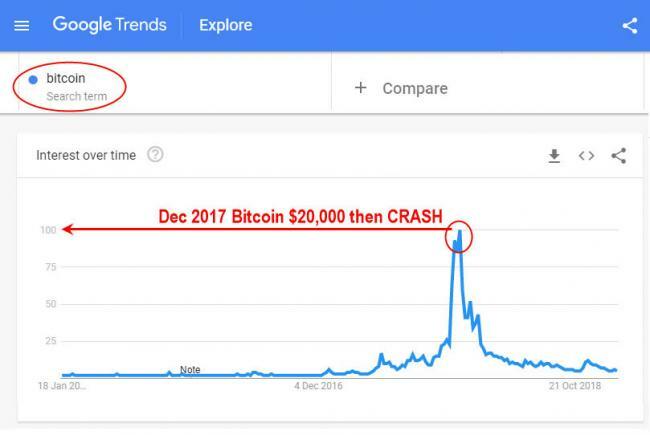 If you want to join a group of professional traders, researchers, and friends, then visitwww.TheTechnicalTraders.comto learn how we can help you find and execute better trades. Some of our recent winners are GDXJ 10.5%, ROKU 8.1%, two other open positions with 15.4%, and 4% as we wait for new a couple high momentum trades to mature. We believe 2019 and 2020 will be incredible years for skilled traders and we are executing at the highest level we can to assist our members profit from our trades with us. In fact, we are about to launch our newest trading solution for ourselves and members thatisunparalleled anywhere else.